Digital TV will generate N100bn for Nollywood, says Lai Mohammed – Royal Times of Nigeria. 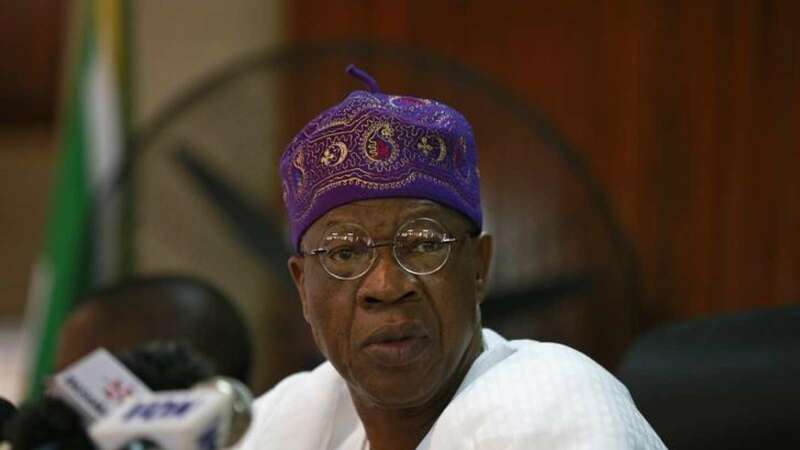 Minister of Information and Culture, Alhaji Lai Mohammed says that Digital Television will generate N100bn annually for Nollywood through FreeTV distribution network. He spoke at the launch of digital switch over at the premises of the Nigeria Television Authority (NTA), Ilorin. He said that Nigerians have watched Nollywood move from VHS tapes to VCD to DVD, adding that the whole world has moved to digital consumption of content with its attendant benefits and democratisation of distribution. The minister said, “Nigerian TV viewers have been constrained by limited penetration of internet in their homes”. “With the middleware in our `Set Top Boxes’; homes will be able to buy and watch the latest Nollywood movies without the need for internet. Imagine a film released on Monday morning being immediately available to all the households in Kwara at the touch of a button. That is the kind of experience we are talking about,”. Mohammed added that FReeTV has the capacity to grow TV advertising market by 400million dollar per annum through audience measurement. He said, “In this regard, permit me to use this opportunity to throw the weight of the government behind the NBC in its efforts to create a viable currency by which producers of content and channels can be re-numerated,”. “Digital switch over will create tens of thousands of jobs through Technical and Manufacturing opportunities’. “`Set Top Box’ assembling and ultimately manufacturing is an irreversible mandate by the government to the industry. We expect this to extend very quickly to local Smart TV and Tablet manufacturing. With our strong consumer base, we can quickly become the supplier of these equipments to the whole of West Africa,”. “Electronic Programme Guide will also be a platform for App developers to create products that will make life easier for the home consumers”. “For the people of Kwara, we welcome the publishers of Apps to start looking for how to make living easier and commerce easier, using the technology that sits on these boxes,”. Nice one.Making charity begins at home.Kudos Mr Muhammed & Kawu.